Route P in Bollinger County will be closed as Missouri Department of Transportation crews perform bridge maintenance. This section of roadway is located between County Road 720 and County Road 722 over Slagle Creek. Weather permitting, work will take place at 7:30 a.m. on Monday, April 29 and re-open Tuesday April 30 at 4 p.m. The Missouri Department of Transportation plans to replace the Route FF bridge over Cane Creek in Bollinger County. The bridge is located approximately 4.5 miles west of Route 51, southwest of Marble Hill, Mo. The project is expected to be let in May 2019. Construction could begin as early as summer 2019. As construction is underway, Route FF will be closed to through traffic in the vicinity of the bridge. The bridge will be closed to traffic for approximately 12 to 16 weeks during construction, weather permitting. A signed detour will be provided during construction. Maps, plans, and other information prepared by the Missouri Department of Transportation, or interested agency, will be available for public inspection and copying at the Missouri Department of Transportation’s Sikeston District office, 2675 N. Main Street, Sikeston, MO 63801. Any person affected by this project may request that a public hearing be held in regard to the proposed improvements. Requests for a public hearing shall be in writing and must be submitted to District Engineer Mark Shelton at P.O. Box 160, Sikeston, MO 63801, by November 21, 2018. Route 53 will be reduced to one lane as MoDOT crews perform drainage repairs. This section of road is located between Route HH and County Road 202. Weather permitting, crews will be working on Monday, April 22 and Tuesday, April 23 from 7 a.m. to 4 p.m.
Boulder Construction will have Fountain street between Broadway and Bellevue closed temporarily on Friday, April 19 between 6:30 a.m. and 9 a.m. for material lifting up to the 7th floor of Marquette Towers. Route KK will be reduced with a 10-foot width restriction while contractor crews perform surface leveling. The work zone will have flaggers in place. This section of road is located between Route B and Route 61. Weather permitting, crews will be working on Monday, April 15 through Wednesday, May 15 from 6 a.m. to 6 p.m. daily. 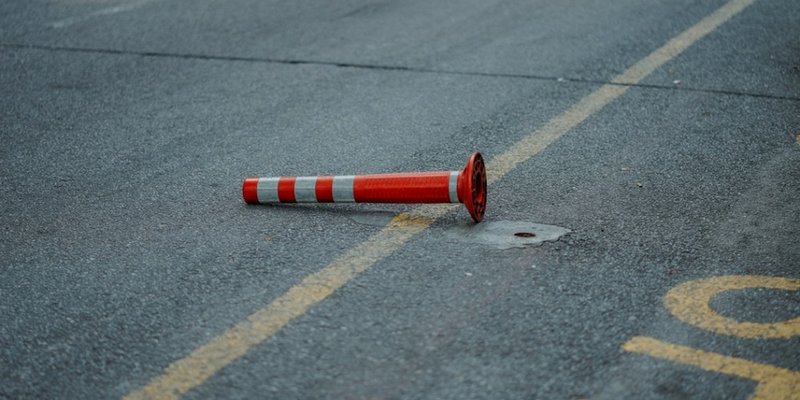 The 300-Block of Broadway between Lorimier and Fountain streets in Cape Girardeau will be closed as of Tuesday, April 9 at 6 a.m. Every effort will be made to finish the project within a week and a half, weather-permitting. Both intersections will remain open and detours will be posted directing traffic around the closed block to Themis Street and back to Broadway via Fountain and Lorimier streets. The closure is due to private sewer improvements. North and southbound Route 61 will be reduced to one lane with a 12-foot width restriction while contractor crews perform pavement repairs. Weather permitting, crews will be working on Monday, April 8 through Saturday, May 25. 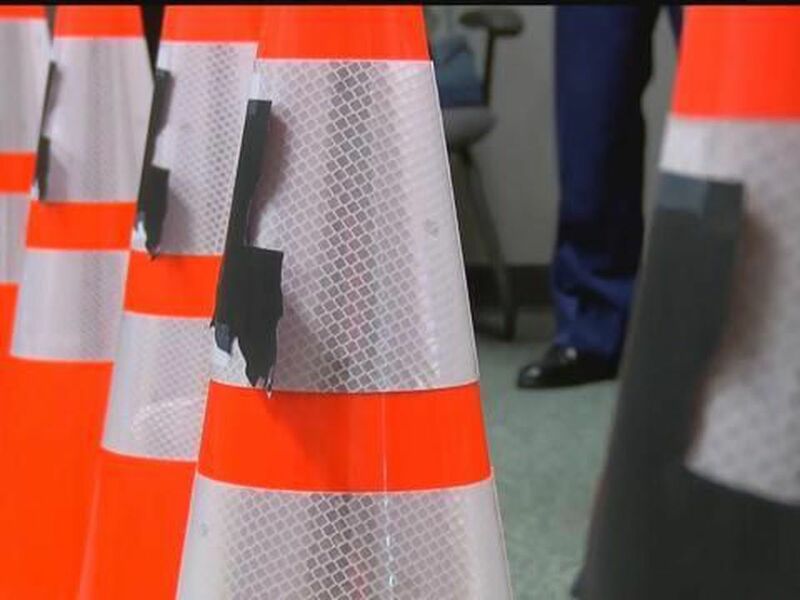 Restrictions on Route 61 will be in place in the following locations: in Jackson on Route 25 to Old Orchard between 6:30 p.m. and 6:30 a.m.; in Cape Girardeau on County Park Drive to Route 74 (S. Kingshighway) between 8:30 p.m. to 7 a.m.; and in Cape Girardeau on Route 74 to the I-55 (S. Kingshighway) overpass between 8 p.m. to 7 a.m.
Route NN in Cape Girardeau County will be closed as contractor crews replace a bridge. The bridge is located between Route N and County Road 260. Weather permitting, the bridge will close on Monday, Feb. 18 and re-open Monday, May 6. Route KK in Cape Girardeau County will be reduced with a 10-foot width restriction as contractor crews perform bridge improvements. This bridge is located over I-55 at MM 117 between County Road 408 and County Road 501. Weather permitting, work will begin Monday, Sept. 17 through Sunday, May 7, 2019. Traffic signals will be in place while construction is underway. Route D in Dunklin and New Madrid Counties will be reduced with a 10-foot width restriction as contractor crews overlay the pavement. This section of roadway is located from Route 25 in Malden, Mo. to Route 61 in Lilbourn, Mo. Weather permitting, work will take place Wednesday, April 24 through Thursday, May 30 from 7 a.m. to 7 p.m. daily. The work zone will be marked with signs. Motorists are urged to use extreme caution while traveling near the area. MoDOT says contractors will soon begin work to replace the Route 53 bridge over Malarial Ditch. The bridge is located between Route J and County Road 101, just east of Butler/Dunklin County line. As construction is underway, traffic will use a temporary bypass with an 11-foot width restriction. Weather permitting, crews will be working on Monday, April 8 through Monday, July 1. Construction of the new Route 53 bridge over the St. Francis River in Dunklin County is nearing completion. As contractor crews complete tie-ins (roadway connections) for the new bridge, Route 53 traffic will be reduced to one lane with an 11-foot width restriction. As work is underway, traffic signals will be in place. This bridge is located between County Road 218 and County Road 101. Weather permitting, work will take place Wednesday, March 27 through Wednesday, April 24. Beginning Friday, March 15 the bridge on N. Main St. in Ironton which goes over Knob Creek will be closed indefinitely. The Missouri Department of Transportation is planning to replace the Route C bridge over the St. Francis River in Madison County. The bridge is located 3.8 miles northwest of Saco, Mo. The new structure will be constructed east of the existing bridge. Constructing the new structure on a different alignment will allow the roadway to remain open during construction; traffic will use the existing bridge during this time. The project is expected to be let in June 2020. Construction could begin as early as Sept. 2020. Construction is expected to be underway for approximately six months. The new bridge will be wider than the existing structure and will eliminate the need for weight restrictions. Route AA in New Madrid County will be closed as contractor crews replace the bridge over the North Cut Ditch. This bridge is located 5 miles north of Route 80, near Matthews, Missouri. This bridge is located between County Road 802 and County Road 807. Weather permitting, the bridge will close at 6 a.m. Monday, April 29, with completion anticipated on Thursday, Aug. 1. The Missouri Department of Transportation plans to replace the Route AA bridge over North Cut Ditch in New Madrid County. The bridge is located 5 miles north of Route 80, near Matthews, Missouri. The project is expected to be let in March 2019. Construction could begin as early as May 2019. As construction is underway, Route AA will be closed to through traffic in the vicinity of the bridge. The bridge will be closed to traffic for approximately eight to 12 weeks during construction, weather permitting. The Missouri Department of Transportation would like your feedback on improvements to Interstate 55 in Scott, New Madrid and Pemiscot Counties. The project included resurfacing various locations. Click here to take part in a short survey. 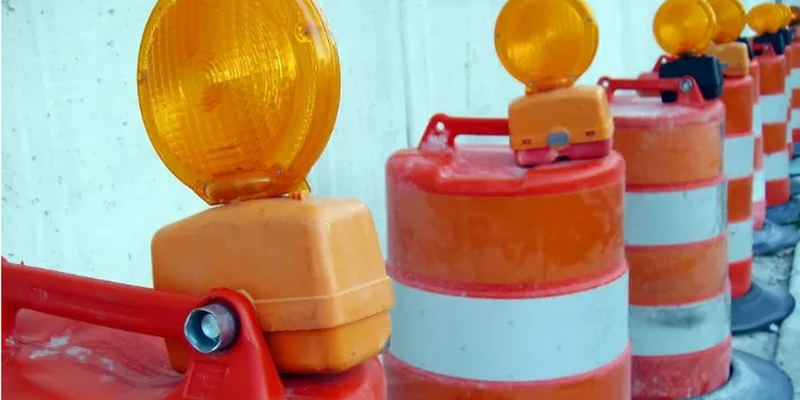 Route 77 in Scott County will be reduced as contractor crews perform shoulder repairs. This section of roadway is located from Route 61 in Benton to Route 62 near Charleston. Weather permitting, work will take place Tuesday, April 16 through Friday, April 19 from 7 a.m. to 5 p.m. daily. The work zone will be marked with signs. Motorists are urged to use extreme caution while traveling near the area. Northbound and southbound interchange ramps in Scott City will be reduced with 10-foot restrictions as contractor crews perform pavement repairs. Restrictions will be in place on the following ramps: Route K to northbound I-55 and southbound I-55 to Route M. Weather permitting, crews will be working on Friday, April 19 and Saturday, April 20 from 6 a.m. to 7 p.m.
Route W will be closed as contractor crews perform a bridge replacement. This bridge is located between County Road 421 and County Road 277, west of Oran, Mo. Weather permitting, crews will be working on Monday, March 11 with completion anticipated on Thursday, May 30. A signed detour will be available using Route P to Route 91 to Route CC. Southbound I-55 will be reduced with a 12-foot width restriction as MoDOT crews remove large rocks off the bluff. This section of road is located at the Ste. Genevieve exit at mile marker 150. Weather permitting, crews will be working on Wednesday, April 24 from 7 a.m. to 5 p.m. The Missouri Department of Transportation plans to replace the Route T bridge over Turkey Creek in Stoddard County. The bridge is located approximately 1.9 miles west of Route 51, near Mingo National Wildlife Refuge. The project is expected to be let in May 2019. Construction could begin as early as summer 2019. As construction is underway, Route T will be closed to through traffic in the vicinity of the bridge. The bridge will be closed to traffic for approximately eight to 12 weeks during construction, weather permitting. A signed detour will be available as construction is underway. Maps, plans, and other information prepared by the Missouri Department of Transportation, or interested agency, will be available for public inspection and copying at the Missouri Department of Transportation’s Sikeston District office, 2675 N. Main Street, Sikeston, MO 63801. Any person affected by this project may request that a public hearing be held in regard to the proposed improvements. Route 114 in Stoddard County will be reduced to one lane as Missouri Department of Transportation crews perform edge rut repairs. This section of roadway is located from Route 25 to Route 60. Weather permitting, work will take place Wednesday, April 17 and Thursday, April 18 from 7 a.m. to 4:30 p.m. daily. MoDOT will close one westbound lane of I-44 between I-270 and Bowles for Meramec River Bridge construction. Starting at 7 p.m. on Monday, Oct. 1, the right lane on westbound I-44 will be closed just after the ramp to I-270. It will stay closed around the clock for the next three years as part of the on-going construction project. Access from Watson Road (Route 366), as well as northbound and southbound I-270, to westbound I-44 will shift, but will not change during this portion of the project. Drivers will also still be able to access the Soccer Park exit from westbound I-44. Drivers should expect greater congestion, especially during the evening rush period, in this area. The three-year project replaces the westbound and eastbound I-44 bridges over the Meramec, makes improvements to the ramps between I-270 and I-44 and replaces the bridge from eastbound I-44 to eastbound Watson Road, and the bridge from westbound Watson Road to westbound I-44. Southbound Route 67 will be reduced to one lane with a 16-foot width restriction while contractor crews perform erosion repairs. This section of road is located south of County Road 404. Weather permitting, crews will be working on Monday, March 25 through Tuesday, April 30 from 7 a.m. to 5:30 p.m. daily. IDOT says crews will begin adding an additional lane to I-57 starting Monday, April 1, 2019. The work will stretch from mile post 57 to mile post 65 in Franklin and Williamson counties. The project will expand 4.4 miles of I-57 to add an additional lane in each direction. Traffic will be reduced to one lane in each direction of I-57 during night construction operations. The project includes earthwork, HMA pavement, HMA resurfacing, erosion control, traffic control and protection, guardrail, seeding, underdrains, pavement markings, signage and rumble strips. IDOT says the work will be finished by July 2020. Beginning Monday, April 15, Route 149 near I-57 in West Frankfort will be reduced to one lane in each direction between Ken Gray Blvd. and Joiner St. IDOT says the work is expected to last two weeks, weather permitting. To avoid delays, IDOT is asking drivers to find an alternate route. Beginning Monday, April 15, weather permitting, work will begin on the bridge over I-57 at Ina. The contractor will close one lane of traffic on I-57 during the hours of 7 p.m. to 7 a.m., Monday - Thursday nights. CH 42 will be reduced to one lane of traffic controlled by temporary traffic signals. Beginning Friday, April 26 at 6 p.m. Rt. 37 will be closed between Rileyville Rd. and Walnut Hill Rd. The closure is approximately 1.5 miles North of Dix. The road closure is due to crews replacing a drainage structure. 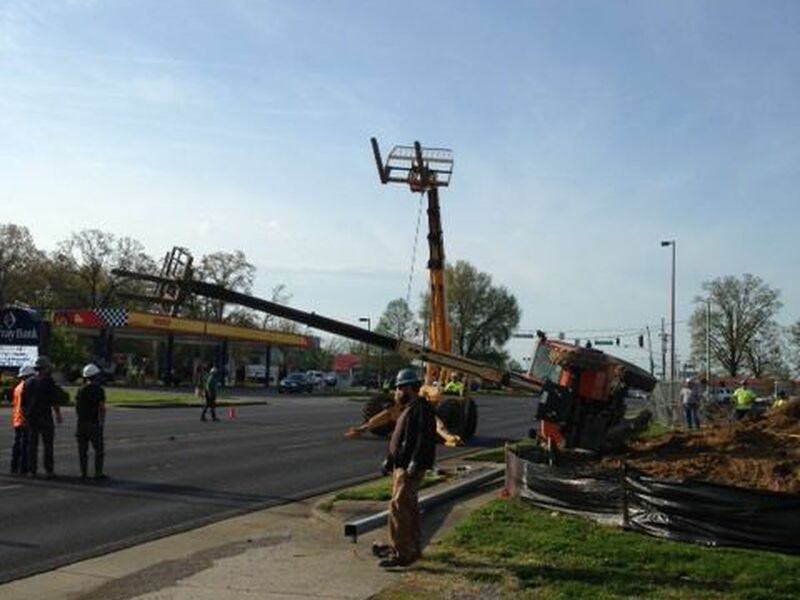 The road is expected to reopen Monday, April 29 at 6 a.m. Drivers should find alternate routes. message boards and signs will be in place to alert traffic of the closure. The Illinois Department of Transportation would like to alert motorists traveling on Interstate 57 northbound that there will be a lane closure. This work will occur at Exit 103 in Dix, Illinois. The closure is scheduled to begin on Wednesday, May 1 and will extend through Thursday, May 2. Maintenance crews will be repairing the structure carrying I-57 over Dix-Irving Rd. The entrance ramp from the Dix-Irving Road to northbound I-57 will be also be closed. Through traffic is encouraged to seek alternate routes while this work is underway. Beginning Monday, April 1, traffic will be reduced to one lane in each direction on I-24 from mile-post 34 to mile-post 36 in Metropolis due to a bridge construction project. Drivers will be using a crossover while crews construct a new bridge in the eastbound lanes. Local traffic will also be affected. Drivers using Country Club Rd. will also be reconstructed withing the work zone. Country Club Rd. will be reduced to one lane and closed for durations during construction of the structures. Weather permitting, the project is expected to last through Nov. 15, 2019. IDOT reopened Rt. 127 South of Alto Pass at 9 a.m. Friday, April 19. A temporary runaround controlled by signals is in place. Drivers are urged to slow down when driving through the area. Crews closed the stretch of road last month to deal with water underneath the road. Officials say they’ll start working on permanent fix this summer. On Monday, April 1, weather permitting, IDOT crews will begin the next phase of the I-57 Expansion Project. 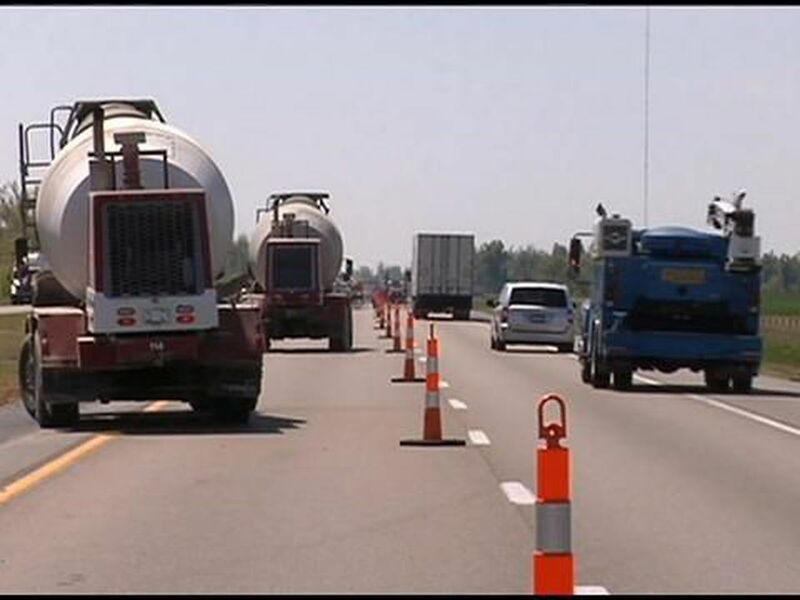 From mile post 57 to mile post 65 in Williamson and Franklin Counties crews will be adding an additional lane to the southbound and northbound lanes of I-57. Traffic will be reduced to one lane in each direction of I-57 during night construction operations. Drivers are urged to use extreme caution through the work zones. The proposed work for the project includes earthwork, HMA pavement, HMA resurfacing, erosion control, traffic control and protection, guardrail, seeding, underdrains, pavement markings, signage, and rumble strips. IDOT says the work will be finished by July 2020. Beginning Tuesday, December 10, Grassy Road at the Little Grassy Lake Spillway Bridge will be reduced to a one lane closure for approximately 4 months to perform bridge repair. Traffic control and traffic signals will be in place to direct motorists through the work zone. Lane restrictions will be necessary to complete this work. This work will take four months to be completed – weather permitting. Motorists are encouraged to slow down and to allow extra time or seek alternate routes. According to KYTC, a contractor for Paducah & Lousiville Railroad plans to close a section of KY 2080/Cadiz Street in Princeton starting on Thursday, April 11. KY 2080/Cadiz Street will be closed at mile point 0.434 to allow maintenance and painting of the Paducah & Louisville Railroad Overpass between KY 91/Hopkinsville Street and KY 139/Legion Drive. There will not be a marked detour. The closure is expected to be in place through about April 19. US 641 in Calloway has been chosen as a preferred alternative route for reconstruction. The project is focused on improving safety and mobility along US 641 between the Kentucky-Tennessee State Line at mile marker 0 and Clarks River Bridge at mile marker 5.6 just south of Murray, Ky. Improvements along U.S. 641 from the Clarks River Bridge into the south edge of Murray are part of a separate project. The Calloway County Fiscal Court was awarded a $23 million federal BUILD Grant for the reconstruction and widening of U.S. 641 from the Kentucky-Tennessee line to the Clarks River Bridge south of Murray, Kentucky. U.S. 641 will be reconstructed to a new four-lane highway that meets current design standards. In addition to improving safety for daily commuters, completion of the new highway is expected to improve economic development opportunities by connecting Murray and Calloway County to Paris, TN, and to I-40 on to the south. The Kentucky Transportation Cabinet has awarded $331,142 in discretionary funds to the Graves County Fiscal Court for the replacement of a vital bridge on Bethel Church Road that connects Graves and Carlisle counties. The bridge replacement on Bethel Church Road connects Bethel Church Road in Graves County (CR 1425) with CR 1026 in Carlisle County Road. Construction is expected to begin Spring 2019. Once the new southern intersection is completed, the contractor plans to move to the north connecting point where New US 641 meets the exiting roadway south of Marion near the 5 mile marker in Crittenden County for some additional work. The contractor plans to place an asphalt driving surface at the northern connection, remove a temporary traffic diversion, and restore the connection to Coleman Road. However, due to cold weather coming in, the northernmost connection between New US 641 and the existing roadway won’t be able to be completed until the Spring of 2019. Homeowners near the north end of the existing roadway will connect to New US 641 via Campbell Lane or Weldon Road. Residents of the Crayne Community may access New US 641 via Crayne Cemetery Road to head northward into Marion. Once New US 641 is opened to 2-lane traffic later this week, all crossroad connections along the new route will be active and fully functional. These crossroads, which include Campbell Lane, Weldon Road, Crayne Cemetery Road, Lloyd Road, Lilly Dale Road, as well as the new southern intersection near Fredonia, will provide connectivity between the new roadway and the existing roadway. During construction of New US 641, motorist traveling through the work zone corridor on cross roads have pretty much ignored stop signs at intersections. When New US 641 opens to 2-way traffic later this week, motorists should obey stop signs, use extra caution, and be prepared to encounter cross-traffic traveling at 55 miles per hour. Motorists should be aware of changes in traffic flow opening of the new highway will bring to southern Crittenden County. Appropriate caution is required. The contractor and Kentucky Transportation Cabinet will attempt to provide timely notice when construction of the new connecting point between New US 641 and the existing roadway are completed near Fredonia and New US 641 is opened to 2-way traffic between Marion and Fredonia. The Kentucky Transportation Cabinet (KYTC) advises motorists KY 1668/Crittenden Springs Road will be closed between milepoint 1.89 and 2.8 in Crittenden County at noon Thursday, April 18 through Monday, April 22. A contractor for KYTC is resurfacing KY 1668/Crittenden Springs Road and in the process discovered road base failures. The near mile-long closure is necessary to allow the contractor to repair the road base failures with the goal of reopening the route Monday. Motorists are advised to travel around the closure via westbound U.S. 60 to northbound KY 297 to northbound KY 2123. Motorists should expect delays and avoid the area if possible. When traveling around the closure motorists should slow down and use extra caution. As a reminder, a contractor for the Kentucky Transportation Cabinet closed a section of KY 1890 in Graves County on April 8. KY 1890/WPA Road is closed at milepoint 4.21 to allow the Little Mayfield Creek Bridge to be replaced. The roadway at this site is expected to be closed for up to 60 days to allow the existing bridge to be demolished and a new bridge constructed. This is along KY 1890/WPA Road just west of the KY 121 intersection. There will be no marked detour. Jim Smith Contracting is the prime contractor on this $503,206 bridge replacement project. The target completion date is June 7, 2019. 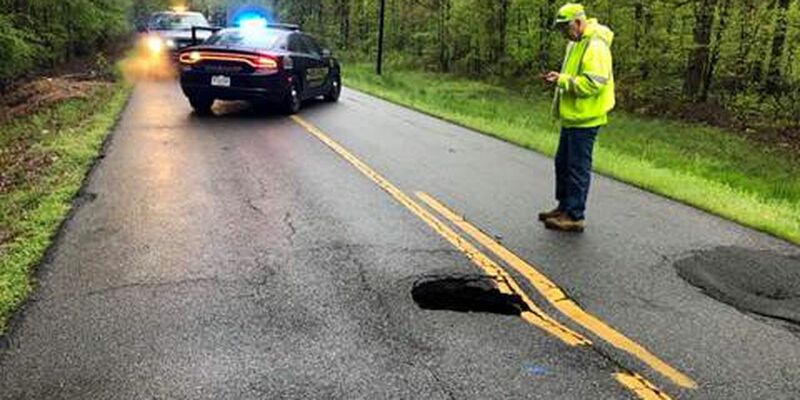 The Kentucky Transportation Cabinet (KYTC) advises motorists KY 348 is closed at milepoint 1.1 in Graves County due to a collapsed cross drain and settled pavement. Crews have closed KY 348 west of the intersection with KY 450. Work to replace the cross drain pipe and repair the settled pavement will begin Monday, April 22 and is expected to be complete by Friday, April 26. Motorists can travel around the closure via KY 450 and KY 1255. Drivers should expect delays and avoid the area if possible. When traveling around the work zone motorists should slow down and use extra caution. Kentucky Transportation Cabinet (KYTC) Department of Rural and Municipal Aid official announced $358,018 in discretionary funds for vital resurfacing work on three roadways in Hickman County. The Hickman County Fiscal Court is responsible for administering the work, and KYTC will reimburse the county for the projects. The Kentucky Transportation Cabinet (KYTC) advises motorists of lane closures and traffic shifts on the U.S. 68-Kentucky Lake Bridge in Marshall County as part of a two-month project to apply a waterproofing epoxy starting Monday, April 22. The project will progress in six phases and is expected to be complete by Saturday, June 22. Phase 1 - Monday, April 22 at 10 a.m.Crews will close the eastbound bridge and convert the westbound bridge to two-way traffic to perform prep work on the eastbound bridge. Phase 2 - Friday, April 26 overnightCrews will close the eastbound and westbound bridge for 18-24 hours. Phase 3 - Sunday, April 28 at 10 a.m.Crews will close the westbound bridge and convert the eastbound bridge to two-way traffic to perform prep work on the westbound bridge. Phase 4 - Friday, May 3 overnightCrews will close the eastbound and westbound bridge for 18-24 hours. Phase 5 - Monday, June 3 at 10 a.m.Crews will close the eastbound bridge and convert the westbound bridge to two-way traffic to apply waterproof epoxy to the eastbound bridge. Phase 6 - Monday, June 10 at 10 a.m.Crews will close the westbound bridge and convert the eastbound bridge to two-way traffic to apply waterproof epoxy to the westbound bridge. During the 18-24 hour closures of U.S. 68-Kentucky Lake Bridge, motorists are advised to detour via U.S. 68 to Interstate 24. Motorists should expect delays and avoid the route if possible. Drivers should slow down and use extra caution when traveling through the work zone. Beginning Monday, April 22, crews will be applying a waterproofing epoxy to U.S. 68 Kentucky Lake Bridge which will cause lane closures and traffic shifts. The two-month project will progress in six phases with a completion date set for Saturday, June 22. Phase 1 - Monday, April 22 at 10 a.m. Crews will close the eastbound bridge and convert the westbound bridge to two-way traffic to perform prep work on the eastbound bridge. Phase 2 - Friday, April 26 overnight Crews will close the eastbound and westbound bridge for 18-24 hours. Phase 3 - Sunday, April 28 at 10 a.m. Crews will close the westbound bridge and convert the eastbound bridge to two-way traffic to perform prep work on the westbound bridge. Phase 4 - Friday, May 3 overnight Crews will close the eastbound and westbound bridge for 18-24 hours. Phase 5 - Monday, June 3 at 10 a.m. Crews will close the eastbound bridge and convert the westbound bridge to two-way traffic to apply waterproof epoxy to the eastbound bridge. Phase 6 - Monday, June 10 at 10 a.m. Crews will close the westbound bridge and convert the eastbound bridge to two-way traffic to apply waterproof epoxy to the westbound bridge. During the 18-24 hour closures of U.S. 68-Kentucky Lake Bridge, drivers are advised to detour via U.S. 68 to Interstate 24. Drivers should expect delays and avoid the route if possible. A contractor with KYTC is planning a traffic shift along the KY 348/5th Street work zone in Benton starting on Friday, June 8. As part of the project to widen KY 348/5th Street to four lanes between US 641/Main Street at mile point 8.325 and the Purchase Parkway Exit 43 Benton interchange at mile point 7.6, westbound traffic on KY 348 was shifted approximately 8 feet to the south in April to allow drain pipe installation and other earthwork activities. With that phase of the work completed, traffic in the KY 348/5th Street work zone will be shifted to the north starting on Friday to allow more extensive work in the area near the post office, the funeral home and McDonald’s. Once this traffic shift starts on Friday, all lanes, including the middle turn lane, will be restricted to a maximum of 10-foot lane width. Traffic is expected to remain in this configuration for most of the summer construction season this year. Drivers should be aware that utility relocation activities will continue all along the project area. Due to ongoing utility work along the project area, a target completion date has not been established for this project. KY 778/Will Jackson Road from 5.4mm to 5.6mm between Alexander Road and Reddick Pond Road will be closed starting on Wednesday, April 3. KY 164/Roaring Spring Road from 18.5mm to 19mm between KY 139 and Delmont Church Road will be closed starting on Thursday, April 4. KY 164/Roaring Spring Road from 19mm to 20mm between KY 139 and Delmont Church Road starting on Friday, April 5. Highways will be closed at these locations from approximately 7:30 a.m., CDT, to about 3:30 p.m., each day. There will be no marked detour.